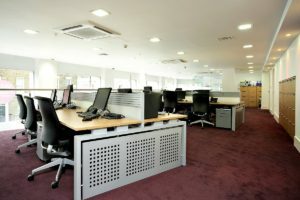 Eurocool Air Conditioning Peterborough. Your No 1 Air Conditioning company in Peterborough and the surrounding areas. If you are looking for a competitive, professional and trustworthy Air Conditioning installation or Air Conditioning service call us today. Eurocool have been providing Air Conditioning installations in the Peterborough area for over 18 years. We pride ourselves on our quality workmanship and good communication with our customers. 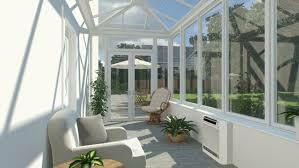 We will undertake any project from Home and Conservatory Air Conditioning to Industrial/Business/Commercial HVAC. Our systems offer both heating and cooling so you have the right temperature in your premises year-round. All Engineers are all fully F-Gas qualified and offer a professional, tidy and quality service from start to finish. Call or email us today to discuss your needs and get your free no obligation quotation. Full professional service from design to completion. Free 5 year warranty on selected brands. Fully F Gas registered engineers. Option to claim back the cost of your installation for tax registered businesses. Free no obligation consultation and quotation. Only 5% vat on home installations. Service plans or one-off servicing available. Call or email us today for your free guidance and no obligation quotation!